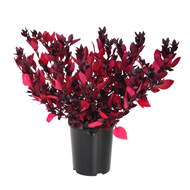 The Alternanthera Little Ruby produces simply outstanding deep burgundy foliage. The perfect mounding ground cover. Easy care, low maintenance plant.